It’s not the best timing. The day after the mansion tax passed the New York state budget, this hedge funder is listing a fancy Upper West Side mansion. 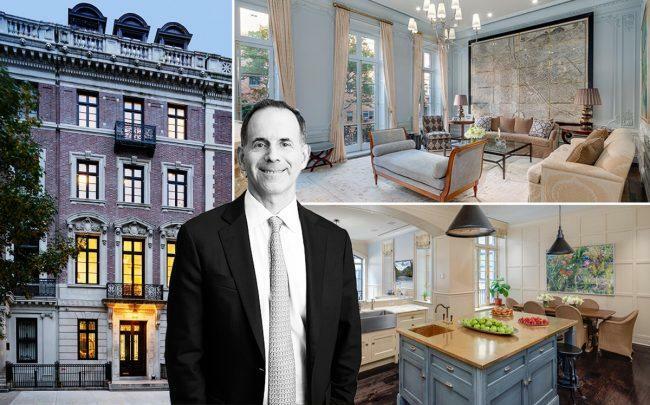 Jonathan Gallen, managing director of one of the country’s largest private equity firms, Cerberus Capital Management, has listed his townhouse for $22.8 million. Built in 1907, the six-story townhouse at 22 West 74th Street has six bedrooms, seven bathrooms, and four powder rooms. It spans 10,500 square feet, with an additional 765 square feet of outdoor space, including a garden and a terrace. The house also has two media rooms, a library and five wood burning fireplaces. Gallen bought the townhouse for $9.1 million in 2006. The tax, an amendment to the existing transfer tax, is expected to take effect as early as July. Given how long Manhattan luxury properties are lingering on the market, it’s unlikely Gallen will find a buyer at his price before the tax hits. Under the old mansion tax, the buyer would pay $225,000 if he or she purchased the home at listing price. Under the new tax provisions, that figure jumps to about $844,000. Gallen declined to comment. The listing broker, Cathy Franklin of Corcoran Group, did not respond to a request for comment. Cerberus, the firm where Gallen works, specializes in undervalued companies and distressed corporate debt. The company also owns military contractor DynCorp, and Tier 1 Group, a private military base outside Memphis. Stephen Feinberg, co-founder of Cerberus Capital, was appointed head of foreign intelligence advisory board by President Trump in May 2018. Known for his emphasis on secrecy at the company, Rolling Stone reported that in 2007, Feinberg told shareholders there would be consequences for any Cerberus employee who gained too much publicity.